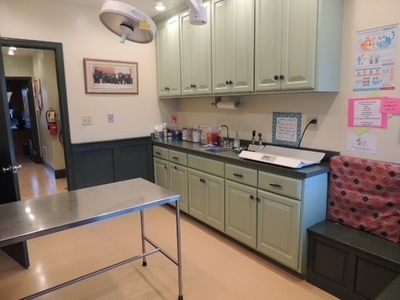 This room is the hub of the hospital. 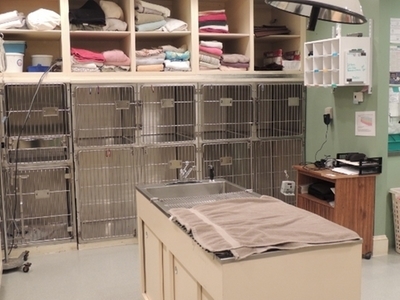 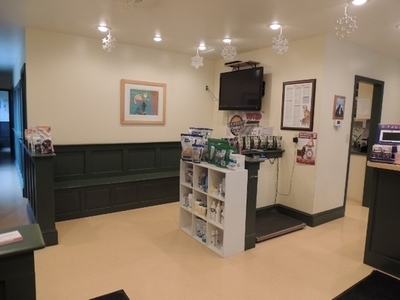 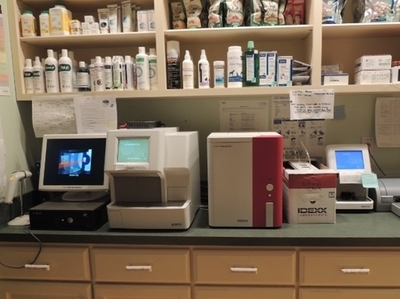 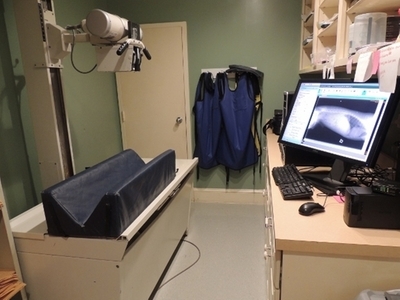 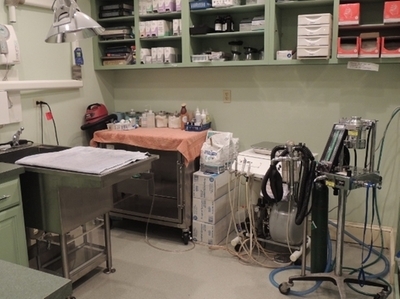 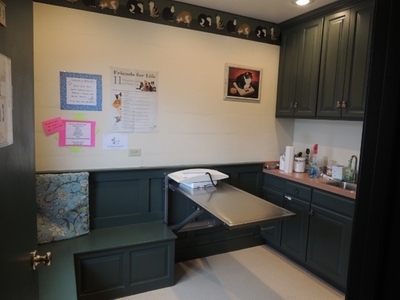 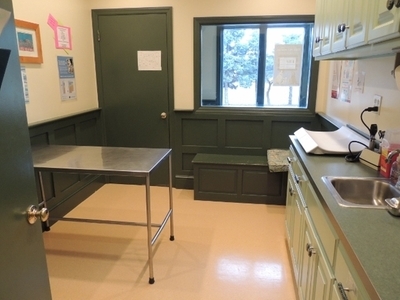 Most hospitalized patients "live" here during their stay at Clearview Animal Hospital. 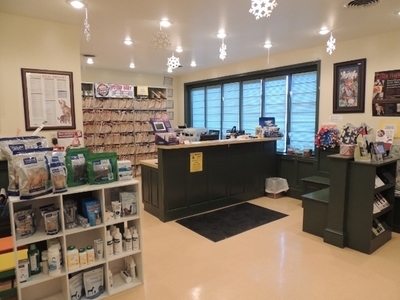 Almost all medical treatments, nail trims, ear cleanings, etc. 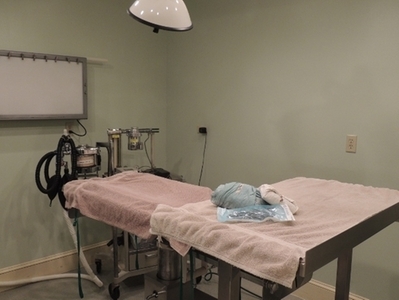 are done in this area.